Ismael Solorio Urrutia, the leader of the agrarian El Barzon movement (perhaps best translated as “the dirt farmers”) and his wife, Manuela Martha Solís Contreras, were murdered Monday afternoon on the highway outside Ciudad Cuauhtémoc, Chihuahua. Solorio had met with Chihuahua officials last week to complain about threats against him, his family and members of El Barzon by employees of the Cascabel mine in Ejido Benito Juarez (San Buenaventura Municipio*). The mine is owned by the Canadian firm Mag Silver. 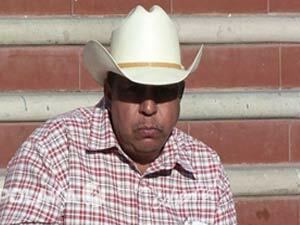 Both Solorio and his son, Eric, were physically attacked by mining company employees on 13 October. El Barzon and the Solorios opposed the mining operation, and had been objecting to illegal mining activity and well-drilling in the region, as does the majority of the residents of the ejido. As a particularly dry region, water usage by mining is always a contentious issue. As of right now, member of El Barzon, and other groups are occupying the the state capital building, demanding Governor César Duarte provide answers to what they are calling a “Crime of State”. El Observador (Chihuahua, Chihuahua) is reporting that unofficial sources are saying four persons were detained by the army as the supposed hitmen., but — as always — who pulled the trigger is less important than who ordered the triggers pulled. 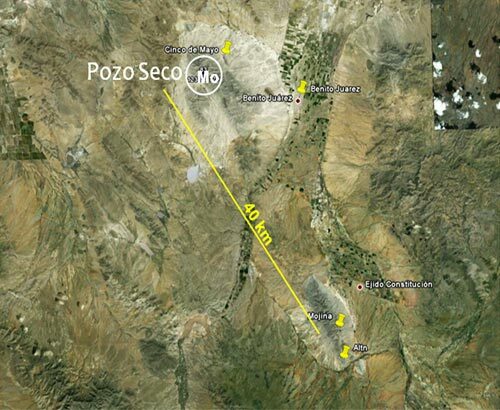 * From the description in my Mexican source, it appears they are talking about either MAG’s “Cinco de Mayo” or “Mojina” projects, although — given El Barzon’s accusations of illegal drilling, there may be a third site in-between the two. Mining people please comment! That’s the Cinco de Mayo property. Interesting, RG. Thanks.